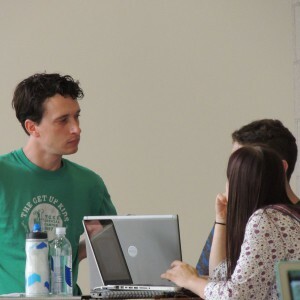 Southwest Speech and Debate is a not-for-profit camp held on the campus of Barrett, the Honors College at Arizona State University each summer. SWSD@ASU brings together some of the best coaches and former competitors from Arizona and states across the southwest. What sets us apart is that we do this because we love teaching, and we love forensics. Our small size guarantees that we are not only able to hire top notch instructors but also ensure that each student has individual work time with staff. We are thoroughly committed to creating high-quality, competitive, and dedicated educational opportunities for our students. We're not-for-profit, which is an expression of our core values. We believe in doing as much as possible to make your experience at camp a chance for you to learn, and help build your skills as a competitor. We hope to impart the skills necessary to competitive success, as well as the knowledge required to help your teammates when you get back home. We're serious about building a strong, vibrant, and engaged community. We work to build that sense of community at camp, as well as working to improve the forensics community as a whole. We believe that community is what makes this activity, and our camp work so well. Our curriculum is an intensive 9AM – 9PM series of classes, practice rounds, and coaching each day. We provide breakfast, lunch, and dinner to our students, and we set aside some time for recreation during camp to avoid burnout. 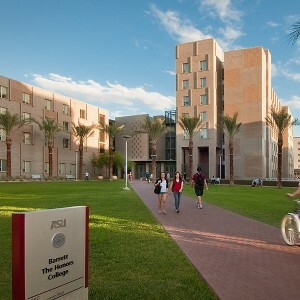 SWSD@ASU is located at Barrett: The Honors College at Arizona State University in downtown Tempe, Arizona. Barrett is a state-of-the-art facility that features comfortable dormitories, high-tech classroom facilities, and extraordinary security measures to guarantee the comfort and safety of our students. SWSD@ASU offers some of the best, most competitive pricing in the industry. We believe everybody should be able to get the experience of debate camp, no matter what their economic situation might be. We are a not-for-profit camp, and we do our best to provide financial aid to those who might need it. 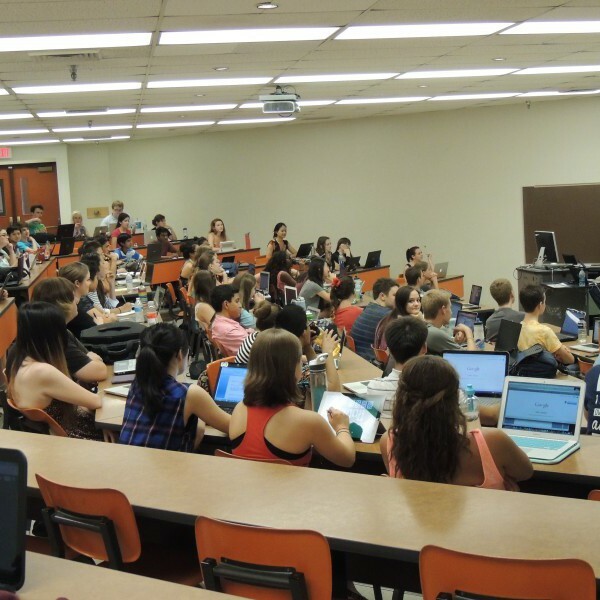 SWSD@ASU offers two-week intensive instruction in these events. SWSD@ASU offers one week workshops in these events. We pride ourselves on our curriculum because we believe in adapting it each year based on the needs of the circuit, novice and returning campers, and the feedback we receive at the end of each camp. Our curricula are designed to be intense, practice-driven investigations of the events that we offer. Our expert staff works tirelessly to create lectures, drills, activities, and exercises that hone skills, and build knowledge. Occasionally we do have students who need to come late or leave early. We can prorate the expenses for rooms and meals if we have the information in advance. We have breakfast at 8, begin labs at 9, and have lectures and activities until 9 pm each evening. Bed check is at 11 pm. If you have questions or concerns, please feel free to send us an email using our email address printed to the left, or the contact form on the right. We will get back to you as soon as possible. Use this form to contact SWSD@ASU with any questions or concerns.